In a moment of outrage with UK mobile networks, I recently released a small app that you could use to send and receive Tweets using SMS and Twilio. In the next couple of posts I want to dive into the code and show you how I built it in only 62 lines of Ruby. We’ll cover setting the application up, webhooks and sending Tweets in this post. Then in part 3 we’ll see the Twitter streaming API and Ruby’s eventmachine working together to send notifications from Twitter. If you want to build this on your local machine you’re going to need your Twilio details and a Twitter application. You can find all the instructions on how to set them up correctly in part 1. If you haven’t already got those bits go grab them now. If you want to follow along with the code instead of building it yourself, you can find it all on GitHub. Got everything? Great, let’s see what’s going on. Speaking of envyable, we need to setup a config file for all those Twitter and Twilio credentials that we collected in part 1. Add the following to env.yml and fill in the gaps with your details. We’ll also need a config.ru file, this will allow us to run the application using any Rack based server rather than the default WEBrick. As we saw in the Gemfile, this is because we intend to use Thin. The file does some very basic things, it requires Bundler and then the dependencies listed in the Gemfile. disable :run is a Sinatra command to disable the default web server, WEBrick. We then require the application file and the last line is a Rack method to pass the application to the web server and start it. The final part of our setup is to create the file in which we’re going to write the rest of the application. Now let’s get on to our first feature. This shouldn’t take us long, we’re going to send a Tweet from an SMS. When the application receives a POST request to the /messages endpoint it updates Twitter with the Body of the message. We then return a blank <Response/> tag to let Twilio know we don’t want to do anything more with this. Now we can just call twitter.update(params["Body"]) in our /messages action and be done. 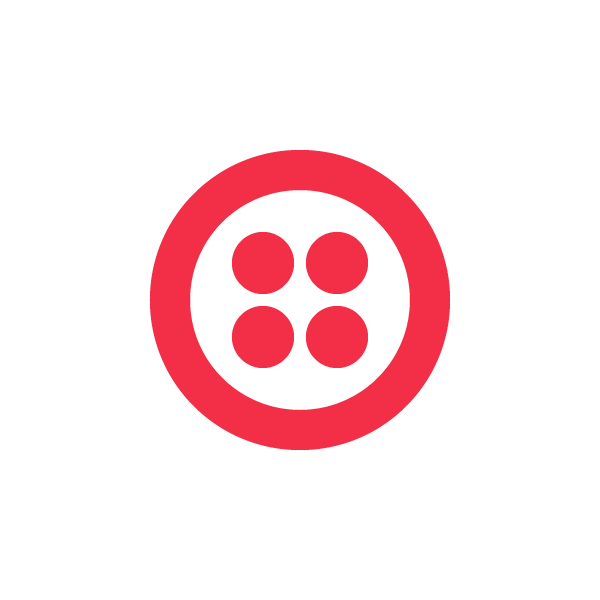 The application will now sign requests that come to the /messages endpoint with your Twilio auth token and compare it with the signature Twilio sends in the request headers. 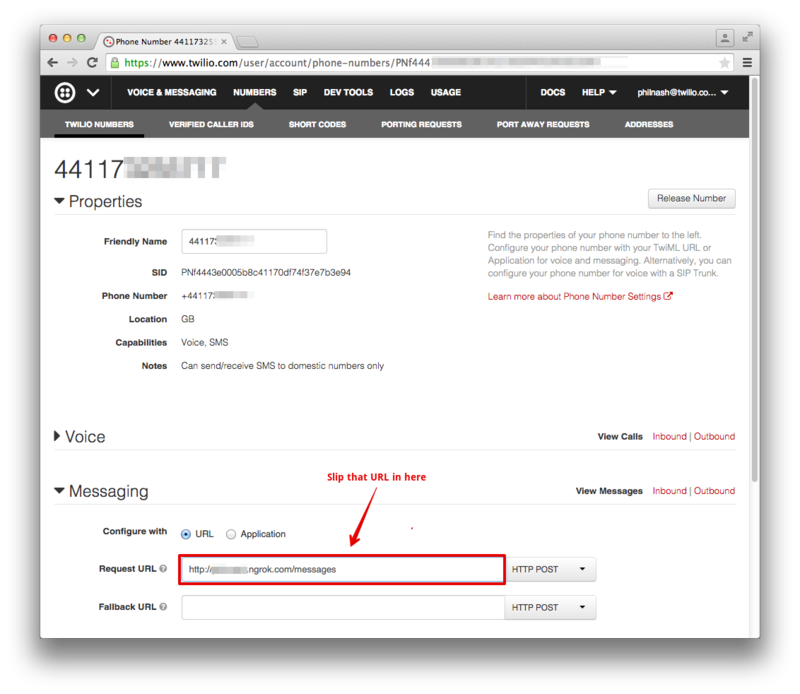 To read more on how Twilio signs requests, check out our security documentation. You should see Thin start up the application on 0.0.0.0:3000. Now we need to expose this application to the real world so that Twilio can send webhooks to it. I like using ngrok for this and all the details on how to get set up with ngrok can be found in this guide on testing webhooks locally by my colleague Kevin. Now that is running, open up your Twilio account and edit the number you bought. Get your ngrok URL, add /messages to the end and enter it as the Request URL for messaging. Save that and grab your phone. Type up a witty message about Tweeting by SMS, press send and open up Twitter to see the results. I know, right! How else did you think all this was going to fit into 62 lines? This is the end of part 2 though, we’ve seen how to set up the application, respond to webhooks and use the Twitter gem to send a Tweet in response to a webhook. We also secured that webhook so that our Tweeting is safe and only ever from a number we expect it to come from. In the third part of this blog post series we’ll see things from the other side. 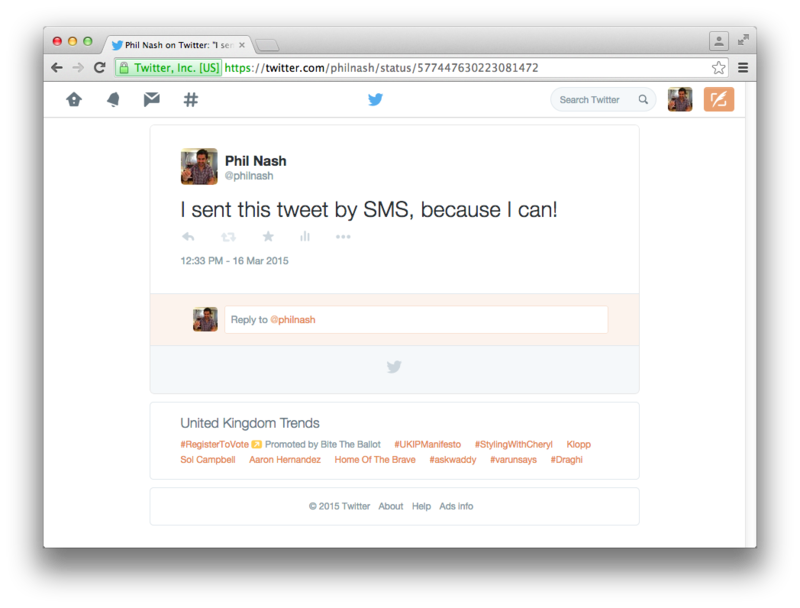 We’ll be watching the Twitter API for notifications that we want to turn into SMS messages. You can read ahead to see how it’s done by checking out the code on GitHub. In the meantime, sit back and enjoy how little code is needed to turn an SMS message into a Tweet.